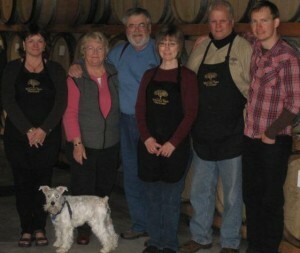 Liz Hughes, Carolyn and Dennis Devine, Debbie Garver, Steven Westby, Heath Payne (former cellarmaster) and Charlie (the dog). 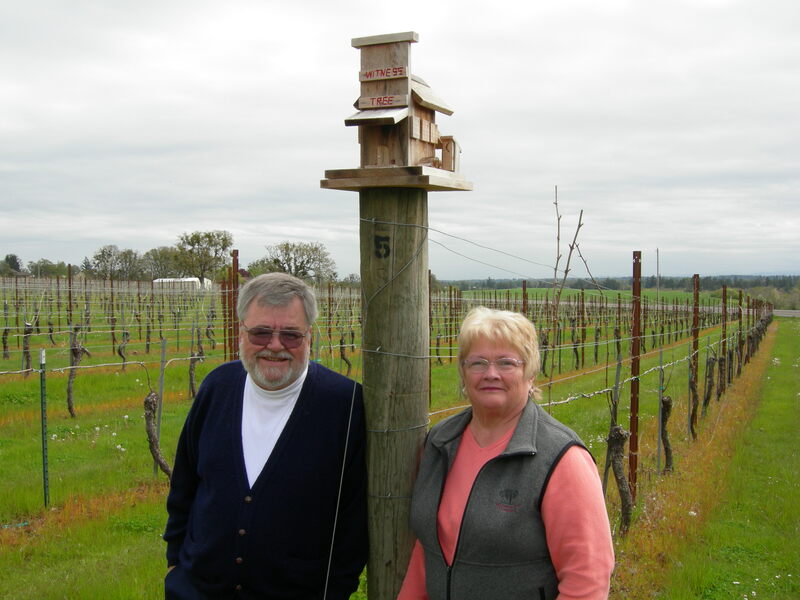 Dennis and Carolyn Devine moved to Oregon after their first retirement to follow their dream of owning a vineyard and winery in 1994. They convinced her cousin Sonja and her husband Steven to join them. This close-knit family can often be found sitting on the front porch in the evenings, enjoying the view, a glass of wine and watching the grapes grow. Dennis and Carolyn refer to themselves as Minnesotans but have also lived in Maryland, New Jersey, California and Pennsylvania. They met while attending St. Olaf (STO) College in Northfield, MN. Dennis’ previous career was in pharmaceutical research and Carolyn was a teacher and banker. She is now the corporate president and business manager for Witness Tree Vineyard (WTV). 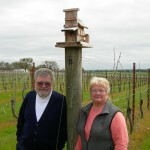 The first grandson – Hanson has a portion of the vineyard and a wine named after him. The first granddaughter occasioned our dessert wine – Sweet Signe. The remaining granddaughters, Remi and Mari have combined their names into the Remari label, used for some of our Dolcetto and Rose’ wines. Charlie Snow is a white Minature Schnauzer belonging to the Devines. He will loudly greet all visitors and also served as Dennis’ shadow. 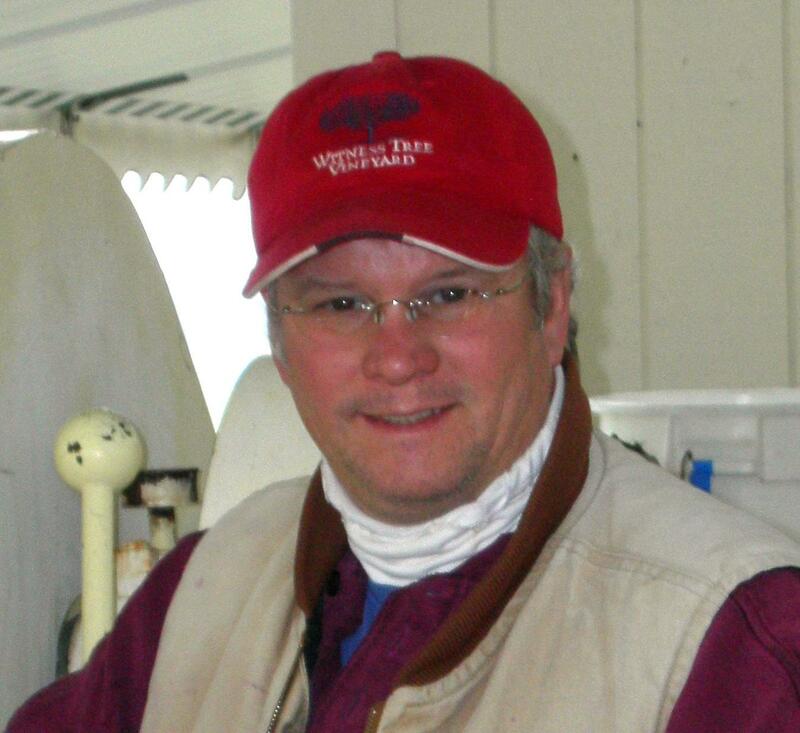 Sadly, Dennis Devine, the principle owner of Witness Tree Vineyard, passed away on Monday, January 13, 2014. He had been in poor health for some time, and died in his sleep. He didn’t suffer and is now in peace. Steven Westby was also at St. Olaf when he met his future wife Sonja. She was attending a rival college whose name we shall not mention but has become an “Ole” in spirit. Two of their children, Nelson and Maren, have graduated from STO and the youngest, Swan, is there now. Steven spent many years as the chief wine buyer for the largest wine store in Minnesota and brought with him a wealth of knowledge and a truly educated palate. His first positions were Cellar Master and Sales Manager and is now both the Winemaker and Vineyard Manager. He has also served as member and leader of a number of wine associations in the area. The Westby’s Minature Dachshund, Megan, thinks she is in charge, so please defer to her. On any given day of the week, you will be warmly greeted at our tasting room by Debbie and Liz. They will be delighted to pour our wine for you and answer any questions you might have. Liz also helps out during harvest and bottling. At home she is busy raising champion Golden Retrievers. Debbie’s additional responsibilities include managing the Wine Club and the Witness Protection Program (our futures program).